X-pack inspired, bolt on box section. 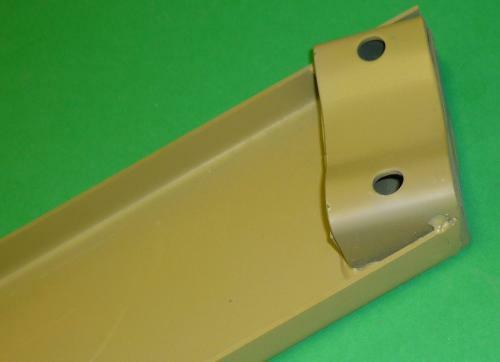 Lowers front mountings of the stabiliser bar. 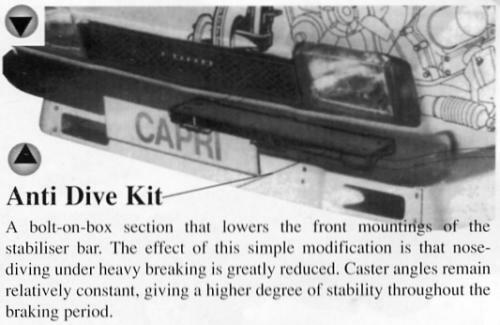 The effect of this simple modification is greatly reduced nose-diving under heavy braking, giving a greater degree of stability throughout the braking period.